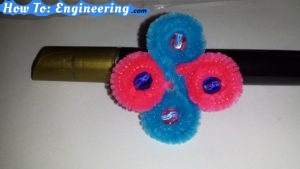 Looking for a quick craft for girls? Not only kids are interested on this craft but teens and adults. Make sure to stock up on the materials because you will run out super fast! **Chenille, two wires twisted around yarn, to create nice bendable fuzzy figures. 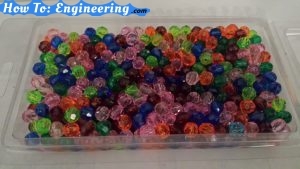 **Beads are an acrylic hexagon made in many colors. 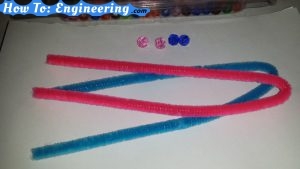 Choose your favorite color, 2 chenille pipe cleaners and 4 beads. 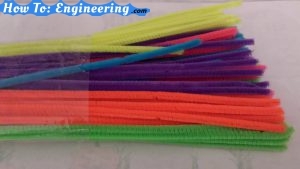 Find the half point of the pipe cleaners. 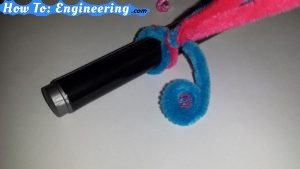 Use someones finger or a fat marker to wrap the pipe cleaner as shown. Make a little twist to hold it in place. Do not tight it up just twist it enough that it stays. 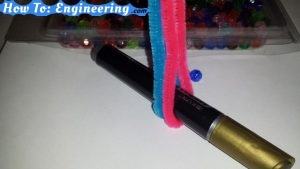 Place a bead on the end of the pipe cleaner. 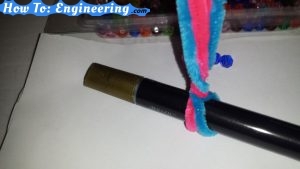 Start wrapping the bead with the pipe cleaner, all the way to the edge of where you made the twist. 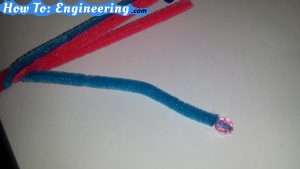 Do the previous procedure to the remaining 3 strands of pipe cleaner. This is how it will look. 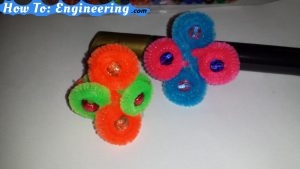 Take the ring off the marker or of the finger and make adjustment to the 4 petals. Be gentle when adjusting the petals, the beads can fall off. The size of the ring can be also adjusted. Have fun wearing this dandy ring.